"An elegant, impeccably researched exploration of early Rome...Elisabeth Storrs weaves a wonderful tale!" -Kate Quinn, author of The Empress of Rome saga Four unforgettable characters are tested during a war between Rome and Etruscan Veii. Caecilia has long been torn between her birthplace of Rome and her adopted city of Veii. Yet faced with mounting danger to her husband, children, and Etruscan freedoms, will her call to destroy Rome succeed? Pinna has clawed her way from prostitute to the concubine of the Roman general Camillus. Deeply in love, can she exert her own power to survive the threat of exposure by those who know her sordid past? Semni, a servant, seeks forgiveness for a past betrayal. Will she redeem herself so she can marry the man she loves? Marcus, a Roman tribune, is tormented by unrequited love for another soldier. Can he find strength to choose between his cousin Caecilia and his fidelity to Rome? Who will overcome the treachery of mortals and gods? 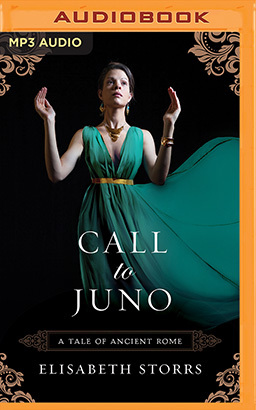 Call to Juno is the third book in the Tales of Ancient Rome saga, which includes The Wedding Shroud and The Golden Dice.